Kathy and I did the Hills, Sea and more tour with Luca and Ricki from Road Bike Tours Italy in May 2018. An amazing experience with exceptional service, attention, support and encouragement from these two great guys. Everything was catered for including the latest Bianchi road bikes, fantastic accommodation and meals and riding through beautiful countryside, Tuscan villages and around Elba Island. 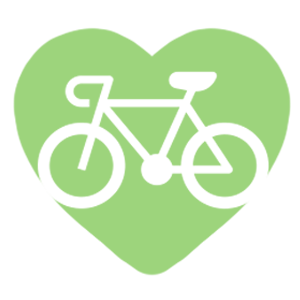 We can thoroughly recommend this professional and friendly Tour group. "Luca and Michela were perfect riding hosts"
Mary and I arrived in Milano not sure whether we would enjoy our week riding with Road Bike Tours Italy, but there was no need to worry. Luca and Michela were perfect riding hosts and ensure we had a marvellous week of riding around the three Lakes. They asked us how we liked to ride and used that information to tailor their tour to our needs and abilities and from there we had seven wonderful days of riding! Great rides and panoramic routes from a Luca, excellent accommodation, wonderful food and drink, brilliant van support from Michela and most importantly two new friends. We got it all from a Luca and Michela and are really looking forward to joining them again for one of their other tours. 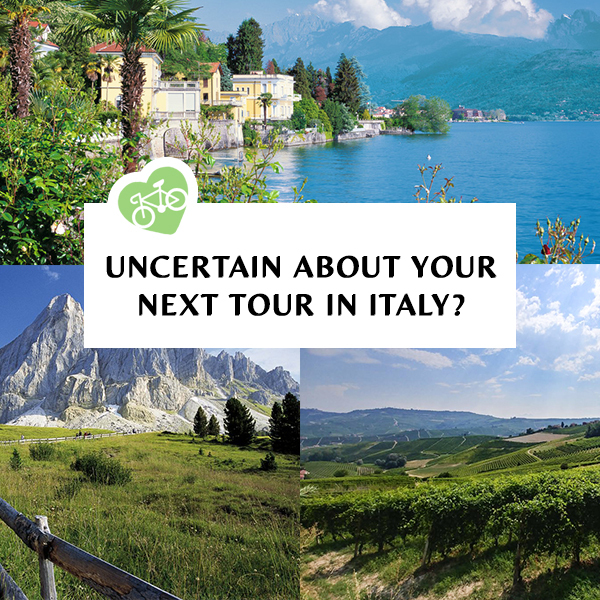 "the perfect bike tour company"
My daughter and I were fortunate to have found Road Bike Tours Italy while searching for the perfect bike tour company that could accommodate our needs and desires. Luca and Michela were our fabulous guides during our tour of the Great Alps and we couldn't have been happier! Each day was an epic ride, punctuated by grueling climbs, amazing vistas and dizzying descents (yes, this are the epic passes made famous by the Giro d'Italia) and then rewarded by a nice hot shower in beautiful accommodations and delicious food and wine in our In addition to having incredible knowledge of the region and its cultural heritage, whereThey possess an incredible zest for life and adventure. "Absolutely perfect tour - the cycling, the tour guides, the hotels, the food – everything!" When I booked this tour I could see from the pictures on line that it was going to be pretty outstanding but actually cycling around the three lakes was one of the most amazing things I have ever done! The long hills were a bit of a challenge for me and my husband as we hadn’t ever cycled long ascents before but we really enjoyed doing them and would love to do it again! We were a family of four on this trip, made up of parents ages 58 and 72 and two adult children; joined by Paul, an energetic 82 year old Australian gentleman who had just come from a week of cycling in Tuscany. Of the five guests I was the only one on a road bike; the others opted for electric bikes. I found two of the days challenging with fairly long and steep climbs, but a breeze if you're on an electric. 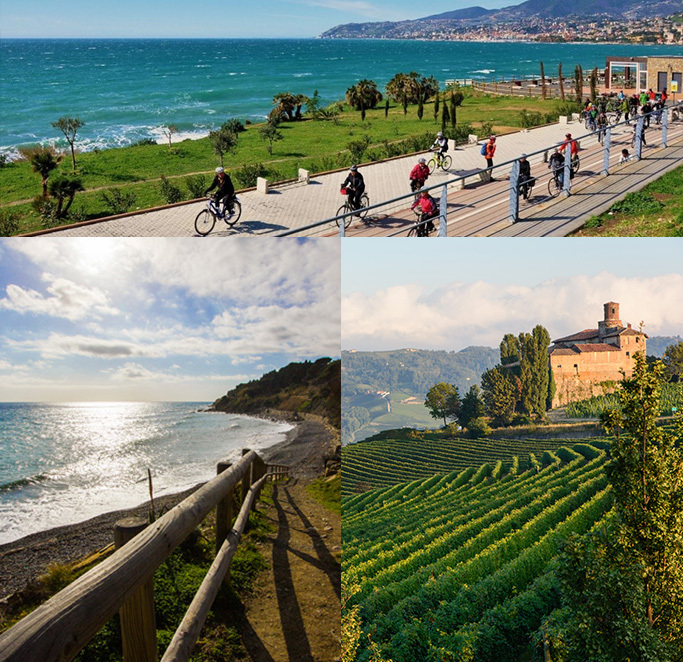 This extremely unusual road bike tour in Piedmont takes us from the beautiful Langhe area to the Ligurian sea. We start our cycling holiday going through some very famous vineyards and old villages, full of historic atmosphere, spending the week riding along peaceful back roads. Two days cycling in the Low Langhe Area, visiting the villages that give their name to very famous white and red wines: Barolo, Barbaresco, Barbera d’ Alba, Diano d’Alba, Dolcetto d’Alba and many more. But this area is also well known for its delicious cuisine and local recipes with white and black truffles and many different kinds of savory cheeses. From the third day, we leave this area and our bike tour to the sea begins. 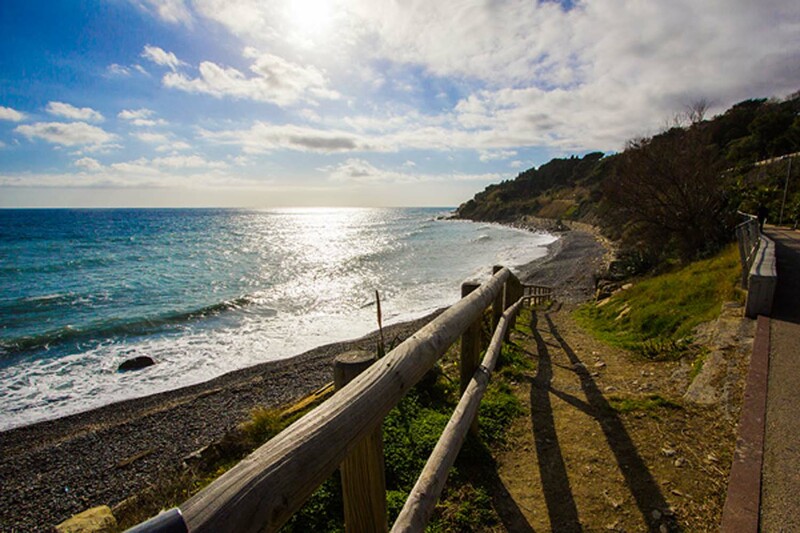 Enchanting villages in a pristine nature, cycling on back roads far from the traffic, are waiting for us, rolling hills and at the end, the Ligurian Sea, where we ride along the road where the famous Milano-Sanremo bike race takes place. All of this in a small group of 7 people at the most , always followed by our Van Assistance, staying in exclusive accommodation personally chosen by our team: a team totally focused on attention to details to ensure the very best bike tour. EXCLUDED: tips, laundry, service, drinks at dinner,medical insurance, lunches and everything is not explicitly written in this page! Arrival with own means of transport, welcome from the staff. Presentation of the trip, assembly and preparation of bikes. Welcome drink. Our Piedmont bike tour begins. After an energetic breakfast based on organic products, we start to pedal south. 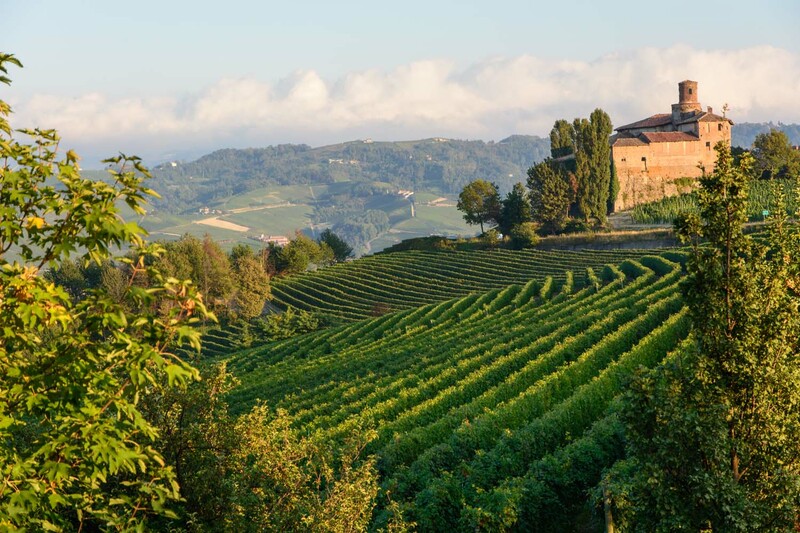 We ride through an incredible landscape of rolling hills surrounded by vineyards, visiting typical old villages, here we are in the Barolo wine production area. This is a perfect cycling holiday spot, a continuous up and down ride, where we start our amazing bike experience. We stop in some of the famous characteristic villages to have a delicious “capuccino and cornetto”. Cerreto Langhe, Monforte d’Alba, Barolo, Diano d’Alba some of these enchanting little towns where we go through peaceful back roads. A delicious dinner tasting local organic wine closes this first day. Our Bike tour today takes us in the southeast Langhe area. Departing from Alba we head to our first town of the day: Canelli. 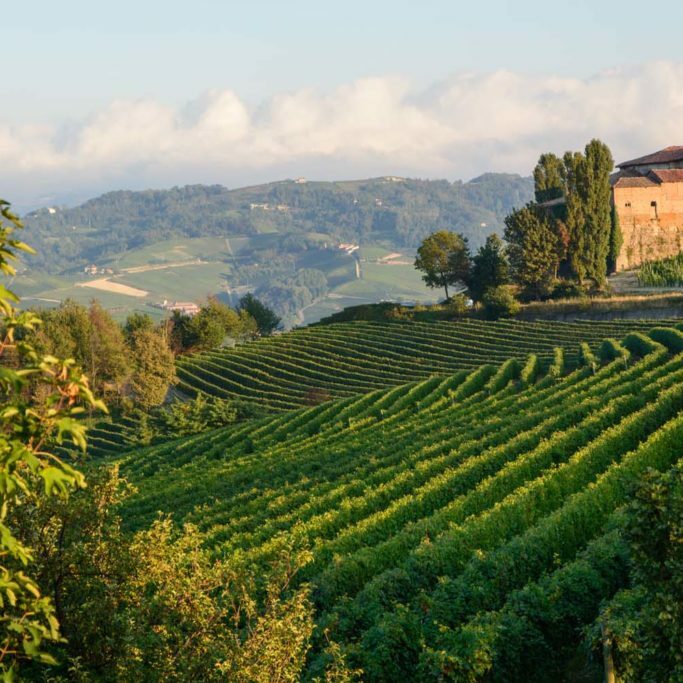 This area and the Asti Spumante white wine, was appointed a UNESCO World Heritage Site in 2014. Keeping on riding we meet other interesting, important old towns: San Stefano Belbo, Bubbio, Benevello and many more. We enjoy an unforgettable cycling day, far from the traffic and deep in a fairy tale atmosphere. We can’t miss our daily “espresso and cappuccino” in some of these old village squares. This evening we deserve to drink a refreshing “Spritz” as an appetizer, just before a rewarding and delicious dinner. 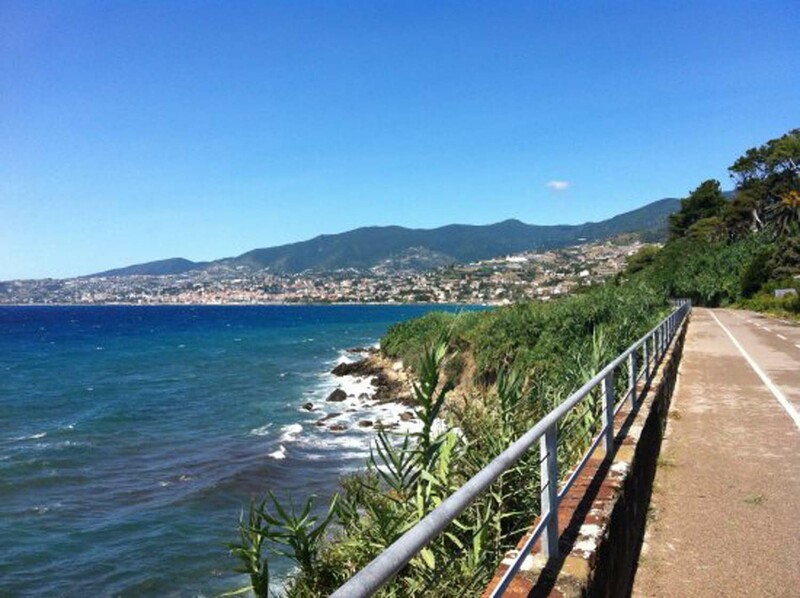 Today we have to pack because our cycling road towards the Ligurian Sea is waiting for us. Our bike tour today takes us in a different landscape, slowly we pass from the vineyard countryside to wild hills. 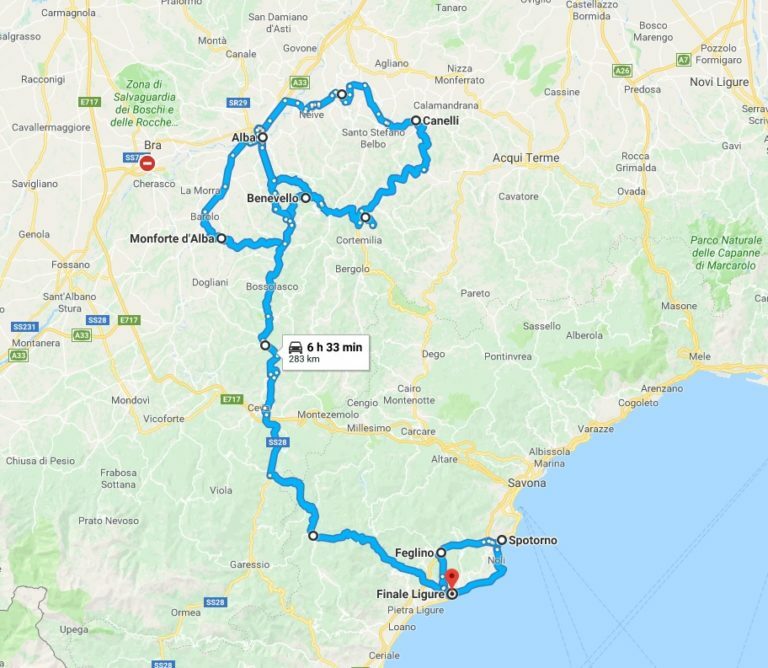 This area divides the Piedmont Region from the Liguria Region, we ride through rolling hills, dealing with some demanding but short ascents followed by amusing descents. The road between Murazzano and Montezemolo, a road that runs on a hill ridge with a breathtaking view on the both sides, is really beautiful . Millesimo, a village in the High Bormida Valley in the Regional Park of Bric Tana, is our goal today. This evening we have a new typical dinner, we try new flavors and taste a new kind of wine. Today our bike tour takes us in a mountain area, pedaling through some little pretty mountain villages, we get to Calizzano. Here our ascent starts, it is 9 km long with a difference in altitude of 400 m and an average slope of 5%. This easy ascent takes place in a beautiful beech wood that ensures a bit of cool also during the heat of the day, we ride in an Alpine atmosphere, we are in the Sea Alps area. The Pass is at 1027 m above sea level, here we can admire some old barracks and a fortress built in 1883. Finally, we can see the Ligurian sea, we have to deal with a technical but amusing descent. This descent is 18km long and takes us from the pass to the beach. As a reward for our effort, a cool “Spritz” is waiting for us on the beach. Another completely different cycling day. 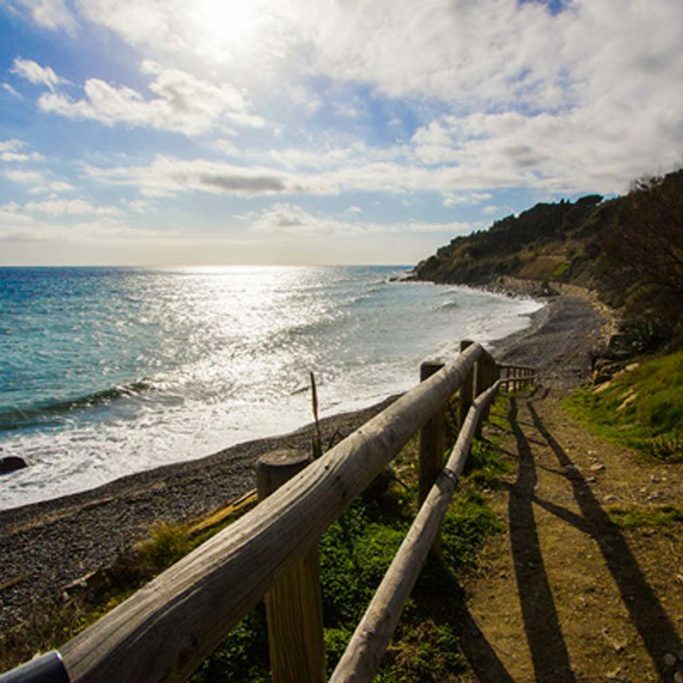 Liguria is really famous for its extraordinary sea and beaches, but is also well-known for its immaculate backcountry full of flower crops, one of the most important products of this area. We leave our accommodation after an energetic breakfast and start to climb up towards one of the countless tiny villages overlooking the sea. 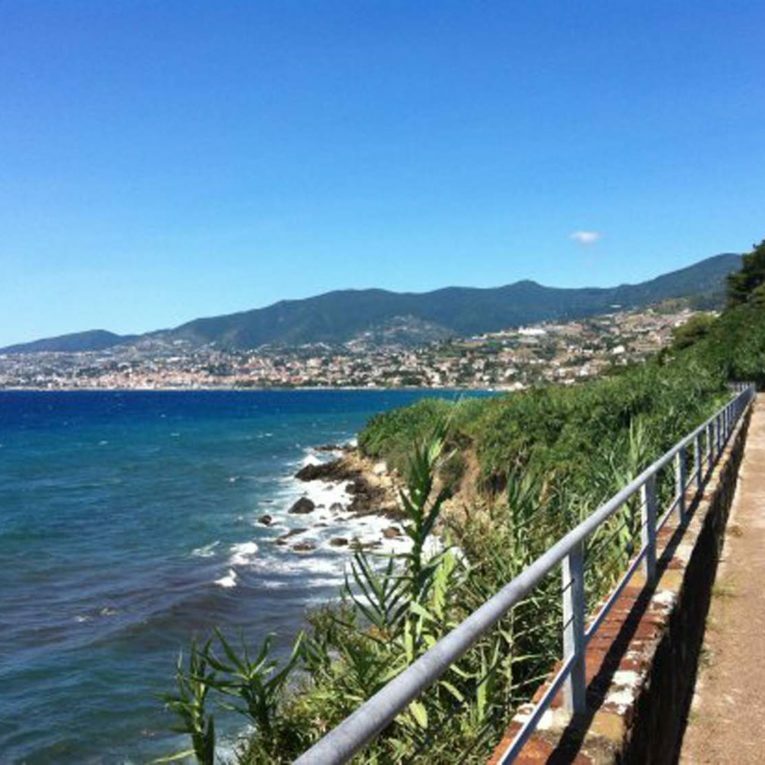 With the mountains on one side and the sea on the other, we reach some beautiful natural terraces with a breathtaking sea view, and after a descent we can ride our last kilometers on the Milano-Sanremo road alongside the coast. Our last dinner, in an exclusive terrace on the sea, closes this unique bike tour from Piedmont to the Sea. Our last day has arrived, after breakfast we transfer to the station/ airport. See you for our next cycling holiday together. Stay up-to-date on our new tours and any news! Do you want something more personal? 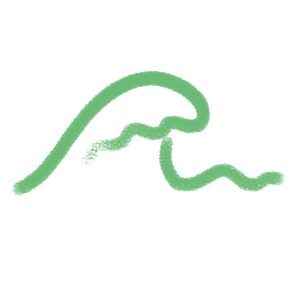 WRITE US YOUR IDEA, WE WILL REPLY YOU AS SOON AS POSSIBLE!